In an exclusive interview with The Independent, MP Lee Lilian speaks about local issues and why she had to quit her job as a financial trainer to focus on her constituency. She made a big splash when she was elected to Parliament in January when even international media like the Wall Street Journal and The Economist sat up and took notice. “Singapore’s voters show an increased appetite for change,” proclaimed the Journal. The opposition Workers’ Party’s Lee Lilian’s victory in the Punggol East by-election was significant not only as a vote against the ruling party but for another reason, too. It marked the triumph of the grassroots worker over the para-dropped highflyer. The voters preferred a familiar face, someone they could relate to, to a successful outsider. 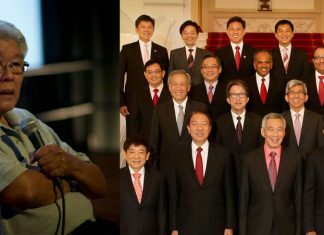 Koh Poh Koon, the colorectal surgeon fielded by the ruling People’s Action Party (PAP), had the potential to become a minister, according to the PM, but that did not impress the voters – they preferred someone they knew. Lee Lilian is determined to live up to her trust. She quit her job as a financial trainer to serve the people, she told The Independent. The international attention she received on her election victory has not distracted her from keeping her eye firmly on local issues. She spoke to The Independent about what she has been doing to reduce noise from the nearby temples and the need for more childcare centres, eateries and bus services in Punggol East. Mundane matters, everyday issues that directly affect the lives of local residents. Lee, 35, may be a new face in Parliament, but she is already canny enough to know elections are won and lost on local issues, that you have to keep your customers – sorry, constituents – satisfied. And her work is cut out, she says, because she has only half a term to prove herself. It has been about six months since the Punggol by-elections. How has life been since you have been elected as a Member of Parliament? I quit my job on the 30th of April 2013 so that I can focus on serving the people because I have only half a term to prove myself. My priority was to focus on the residents and their issues, the problems that they were facing and if I could resolve them quickly. I mean, there are new issues and problems that I need to tackle every day. Besides looking at the municipality issues, I also need to fulfil my duties as a parliamentarian. I have to look into national issues, get myself ready for Budget debate, the White paper on population as well as table Parliamentary questions. My philosophy is simple, I entered politics to serve the people and I want to keep it that way. The Independent understands that there have been complaints about the excessive noise levels from the temples nearby. How did you go about handing this very delicate long standing issue? As a nation, we need to live together harmoniously. So, I lost no time when this issue was first raised after the BE. I picked on a block that is most affected to conduct my weekly house visits. I wanted to experience firsthand the kind of noise levels that they were experiencing. At the same time, I met up with the temple management committee to discuss about the issues and I must say that I am convinced that they are already doing their best. Till today, I have yet to receive any feedback on this. And if I do, I am ready to explain to the residents what the temple have done to minimize noise pollution. I am also aware that this is a very sensitive issue and residents understand that this is a religious organisation and they are free to practise their faith. Are there any new amenities or improvements that are coming up in Punggol East? What are your plans? We need to do more for the young working parents, especially if both of them are working. We need more child care centres, not just in Punggol East, but in other estates as well. The key is to keep the costs affordable for the average Singaporean who is starting a family. I have spoken to ECDA (Early Childhood Development Agency) on this and I look forward to more centres in the short to medium term. This is one of the things that I have planned for. Other pertinent issues are the lack of eating establishments and lack of bus services along Rivervale Crescent. I have brought both issues up in Parliament. What is you key message to your constituents? I am here to serve and I want to thank them for putting their trust in me. My task is to look after the welfare of the residents and create the necessary conditions for them to raise their families in Punggol East. Everybody, including those who didn’t vote for me is under my care and I will do my very best to ensure that their needs are taken care of.